Most teens love spending time at the mall. This fun teenage birthday party idea involves the mall and cake – sounds like a perfect day, right?! As your child gets older, it begins to be more difficult to find party games that they will enjoy. 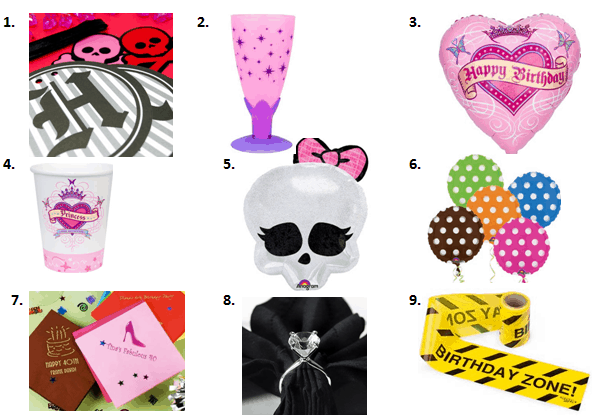 This teenage birthday party idea includes a a fun mall scavenger hunt (click here for the free printable) to entertain the guests while wandering the mall. 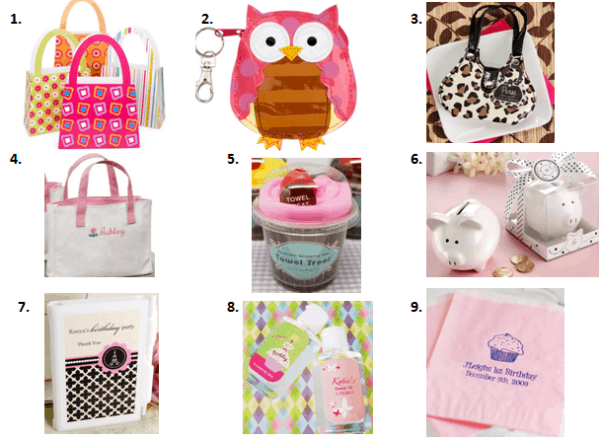 In this post you’ll find ideas for invitations, decorations, food, activities and swag bags. Ask guests to meet in a central location when they first arrive to the mall. Split the party into teams of 3 or 4. Hand each team a supplies bag along with a printout of the mall scavenger hunt game. Set a time and a location to meet back up. If you will be hosting supper at a local restaurant, this is a great place to meet after the game. If you will be providing guests with disposable cameras, make sure that the film is large enough to take as many photos as you need (for example, there are 20+ on the free printable game). Also, if using disposable cameras, make sure there is a photo shop in the mall that will develop the pictures for you in less than an hour. This way the guests can share the photos, share a few laughs, and you can hand out prizes. Prizes for this mall scavenger hunt could include $5 gift cards for restaurants in the food court. As I mentioned earlier in decor, a great idea for a mall party is to have your supper in a private area of a restaurant. You could work with the restaurant to design a menu specifically for your party. The food could be served family-style (meaning trays of food are placed in the middle of the table and guests help themselves to whatever they’d like) or you could design menus personalized for the party with 3-4 meal items each guest can choose from. Where is your favorite place to go in the mall? Here on Moms & Munchkins, we love a good party! We’re always adding new party ideas and we want to share these with you. Follow along on Facebook, Twitter, Pinterest and Bloglovin’. Disclosure: I am part of the Amazon, Birthday in a Box, Tiny Prints, Inc. and Beau-coup affiliate programs. All opinions expressed here are 100% my own. This is a great idea! Last year we did a similar party for my daughter. Each girl was given a $20 gift certificate to the mall when they arrived in a small paper gift bag. They did the scanvenger hunt and went shopping and then we all met at a restaurant in the mall afterwards. The girls had a blast and loved they got to do a bit of shopping as well! Sounds like a party idea I’d enjoy at my age as well! This sounds really fun! My birthday I comin up really fast and I still don’t know what to so this might just be a great idea for me and my friends!! Besides we ALL LOVE shopping!! I love shopping too! I think the mall would be a great place for a party. An early happy birthday to you! Oh no! That’s disappointing, Dana. Thank you for the warning. Dana,…. Was your scavenger hunt one in which you collected items or just took photos? We are planning this for my daughters 16th birthday and I would hate for this to happen. Could you also tell me what state you are in? Maybe it is different in different areas? Pamela – Did you wind up doing this and if so, did you run into problems?